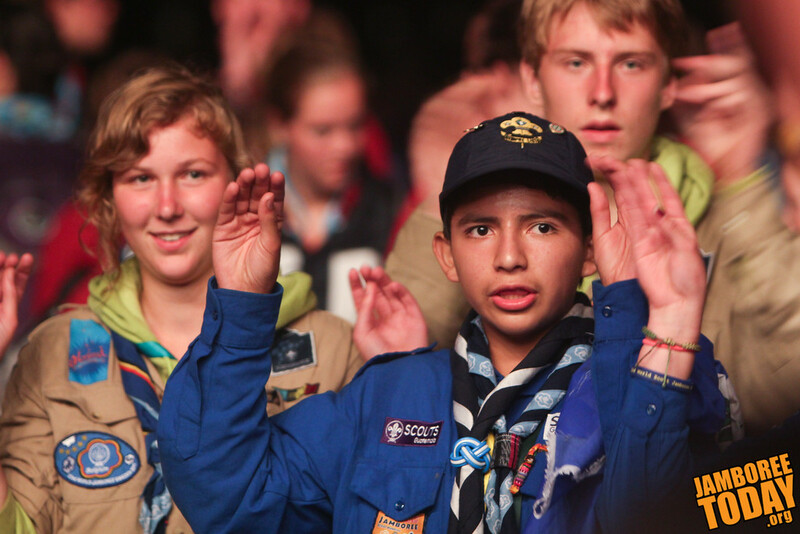 Over two hundred nations participate in the World Organization of the Scouting Movement. The final flag in the procession is the purple-and-white Scouting World Crest, featuring the Scouting fleur-de-lis surrounded by a ring tied in a square knot. The crest is worn members of all world Scouting associations. 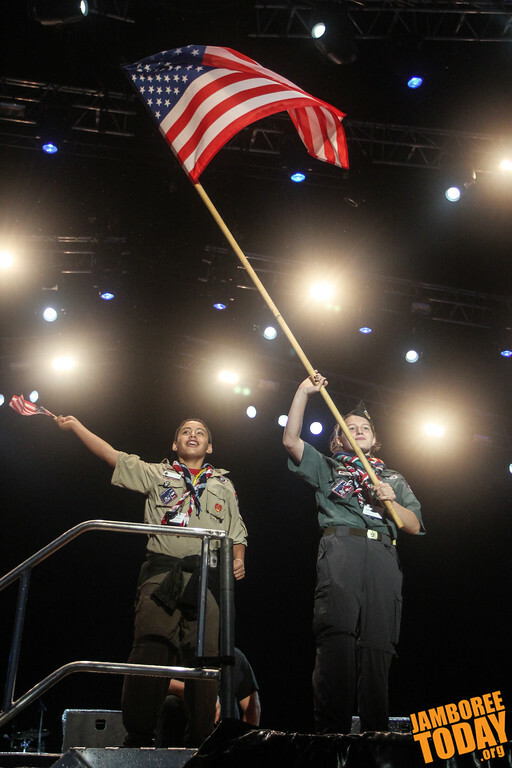 A Boy Scout and Venturer from the United States present the U.S. flag. Venturing features a high adventure program for young men and women from 14 through 20 years of age. It is similar to Rover Scouting in other nations. 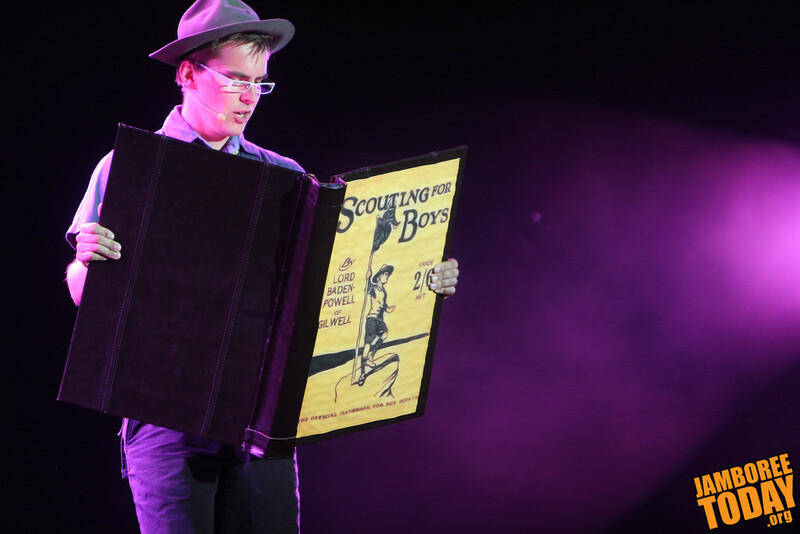 The early story of Scouting and how it began in Sweden is presented dramatically during the arena program. 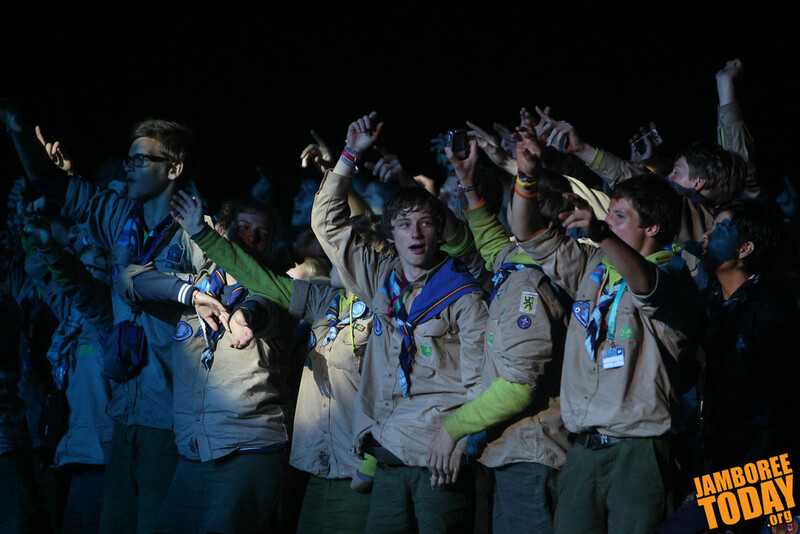 Performers flash the Scout Sign as they dance during the opening show. 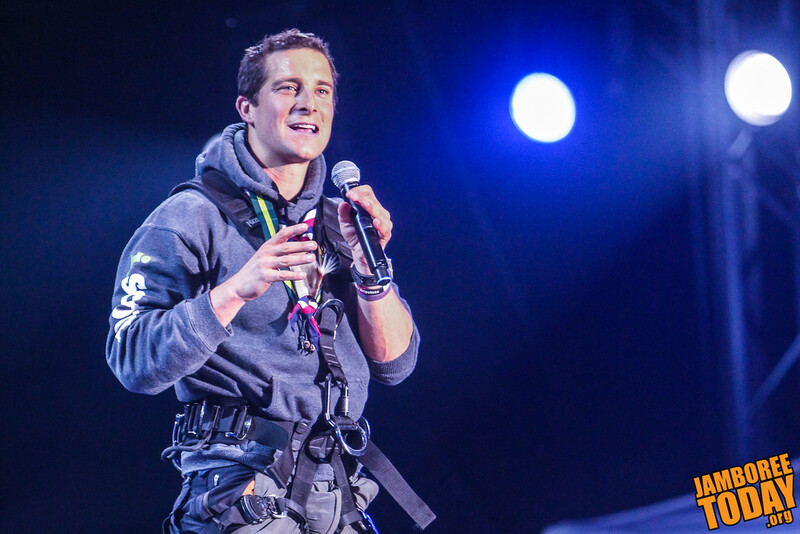 The United Kingdom's Chief Scout, adventurer Bear Grylls, welcomes over 35,000 Scouts to the opening arena show of the 2011 World Scout Jamboree. 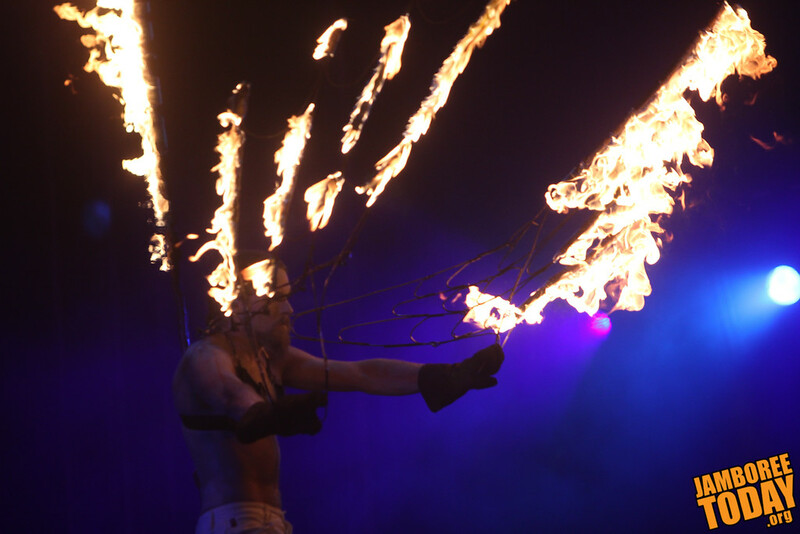 Swedish performers put on a fiery show during the finale of the arena program. 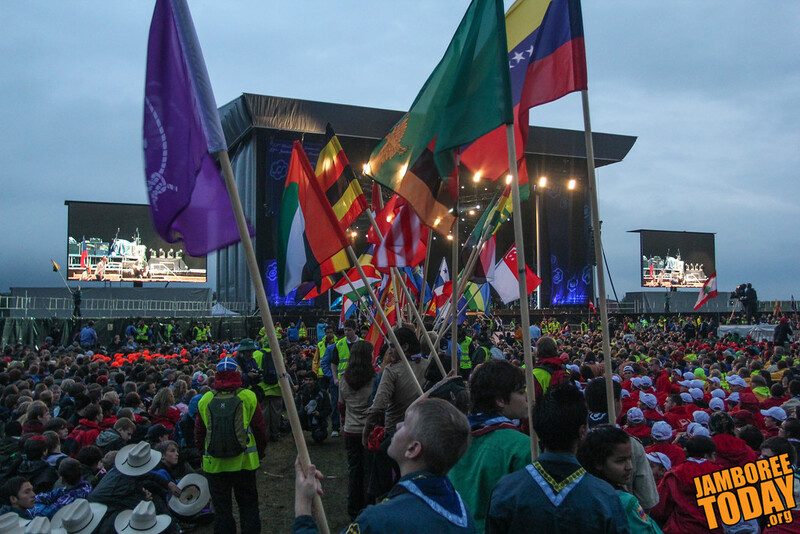 Scouts from around the world celebrate the official beginning of the 2011 World Scout Jamboree. 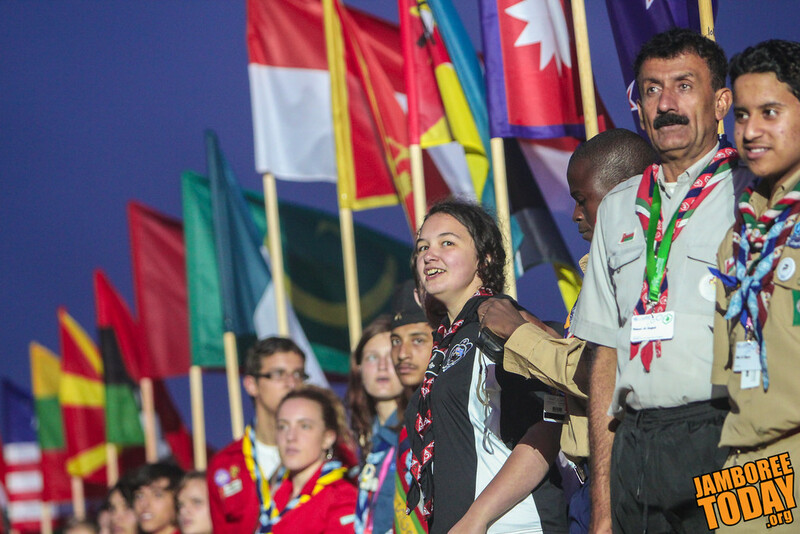 It is the 22nd international jamboree to be held. 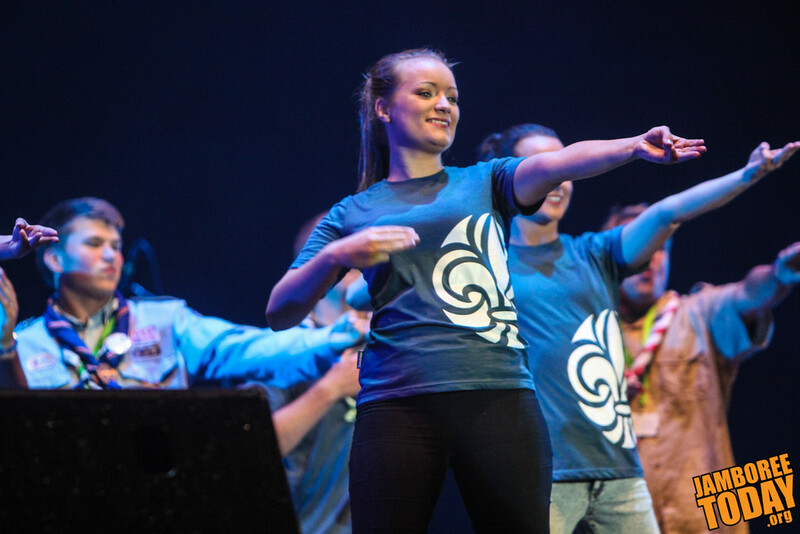 After the arena show, Guatemalan and Australian Scouts share dances and songs from their own countries.